Municipal water and wastewater treatment plays a key role in maintaining sanitation and hygiene and delivering clean drinking water to urban, suburban, and rural populations. Municipal water treatment plants filter and purify source water (including groundwater and surface water), ensuring that the water delivered to consumer’s taps is safe, clean, and potable. Local, regional, and national regulations specify maximum contaminant levels (MCL’s) for various species in drinking water. Municipal wastewater treatment plants filter and disinfect sewage, stormwater, and other wastewater, ensuring that effluent is safe to discharge to public waterways. As with municipal water treatment, regulations govern limits on pH, total dissolved solids, and maximum contaminant levels in municipal wastewater effluent. Municipal water and wastewater treatment plants use a variety of technologies to ensure that their treatment trains deliver the required results. Many plants use chemical oxidizers, such as chlorine or ozone, to destroy pathogens in water and wastewater. UV disinfection is another common treatment method. Plants monitor various water quality parameters throughout their processes to ensure that treatment is both effective and efficient. Frequently monitored parameters include pH, oxidation reduction potential, free chlorine, chlorine dioxide, dissolved oxygen, and UV transmittance. Monitoring pH is required to ensure that water and wastewater are neither too acidic nor too alkaline. Therefore, most treatment plants analyze pH before water leaves their facilities. Additionally, pH may influence the ability of disinfectants, such as chlorine, to oxidize contaminants. 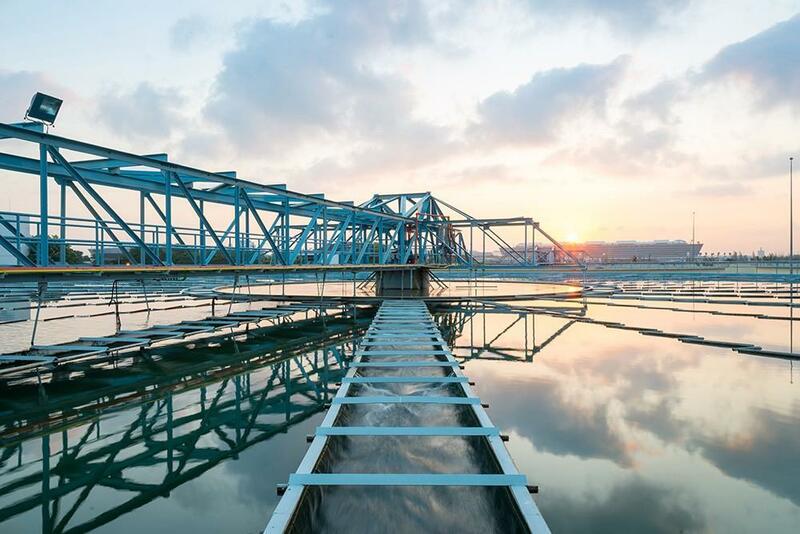 When biological processes are used in wastewater treatment, such as when bacteria break down contaminants, monitoring pH ensures that the useful bacteria in the system can proliferate and thrive. Monitoring oxidation reduction potential (ORP) provides an indication of the performance of disinfection processes. When an oxidizer such as chlorine is used as a disinfectant, it is possible to control dosing using either ORP measurements or by measuring the oxidizer concentration directly. Measuring ORP is often more cost effective in comparison. Amperometric sensors measure chlorine and chlorine dioxide concentration directly in ppm, as opposed to an ORP measurement given in mV. Unlike ORP sensors, amperometric free chlorine and chlorine dioxide sensors are not sensitive to other oxidizers or reducers in solution. The UV transmittance (UVT) measurement relates to the organic content of water or wastewater. It is measured optically by sensing the amount of light of wavelength 254nm transmitted through a water sample. Just like pH, ORP, and free chlorine measurements are used to dose chemicals, UVT measurements are used to adjust UV light intensity for disinfection.